For another loop trip follow Highway 12 south from Torrey, Utah (west of the Capitol Reef National Park boundary). In the small town of Boulder turn east toward the park on Burr Trail Road. 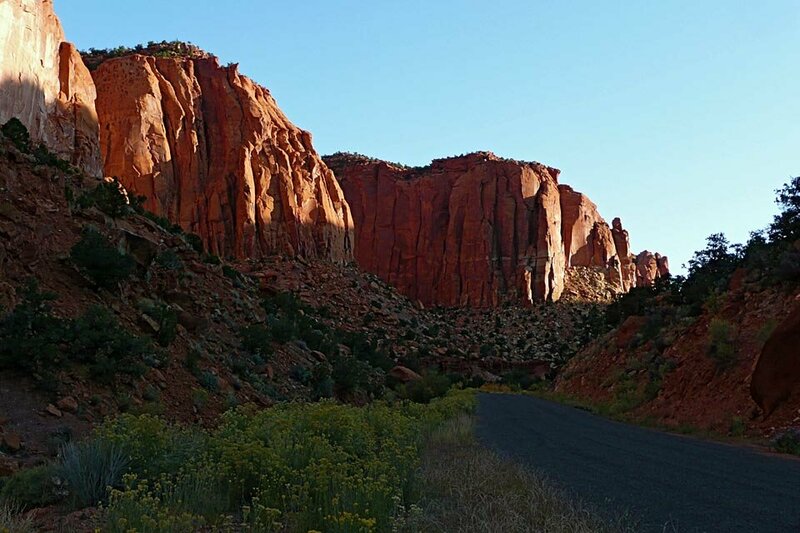 Burr Trail is a narrow paved road through canyons and rock formations of Grand Staircase-Escalante National Monument. The pavement ends as you enter Capitol Reef National Park.